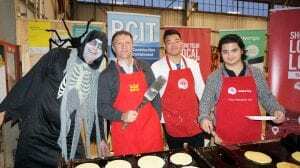 The charitable Halloween Pancake Breakfast is an annual tradition for the community at BCIT. 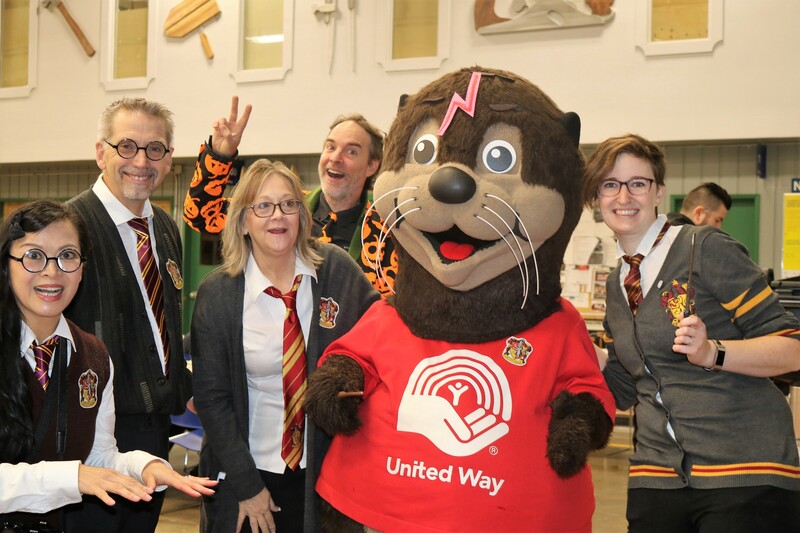 Organized by the School of Construction and the Environment (SOCE), the 2018 Halloween Pancake Breakfast fundraiser was Harry Potter-themed with a record-breaking $5,060 raised in support of the United Way of the Lower Mainland (UWLM). 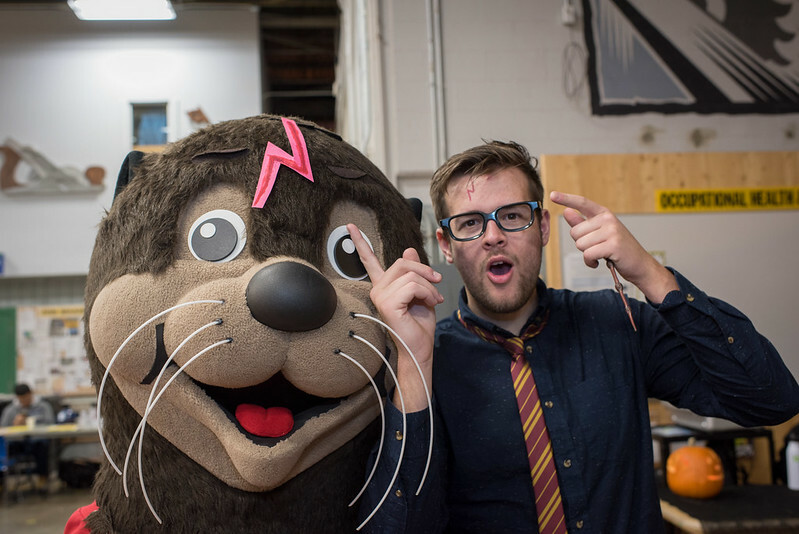 New this year, Chartwells made this the very first zero waste pancake breakfast event on the Burnaby Campus. 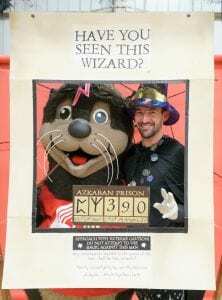 Advanced Drainage Systems Canada (or ADS Canada) represented by Brandon Walker was also a returning, major sponsor for a third year in a row who matched what was raised up to $1,000. 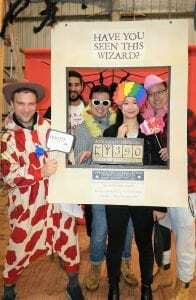 Another returning generous sponsor, Impact Recruitment represented by Michael Scott and his team matched what was raised up to $1,000. 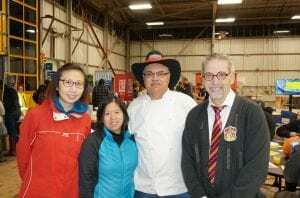 SOCE’s Dean Wayne Hand waived his magic and his team Marita Luk, Lauren Swanson and Linda Hart organized all aspects of the event again. The BCIT United Way Campaign Chair Lisa Sulatycki and Liza Elliott also provided support throughout the event. 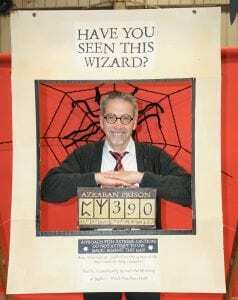 Liza was the one who made the popular selfie frame “Have you seen this Wizard?” and many other special touches. BCITSA‘s Mike Neal worked non-stop and provided the much-needed supervision and guidance at the grill. 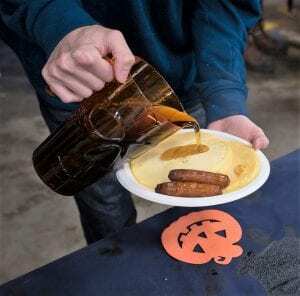 BCITSA also donated all the orange juice and bonus, this year, many of the early birds were fortunate to have delicious sausages with their pancakes. 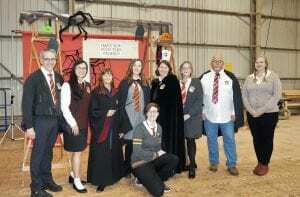 Thanks to Don Naidesh and his team for having the event at the Carpentry Shop again. Tim Carson, Raj Samra and the Piping Department for the set up and take down of the grill. Brenda Aynsley, VP Resource Development, UWLM and her team, Poonam Kant, Alicia Doo, Seymour, and all of the many UWLM volunteers who helped. Pablo Medeiros De Medeiros from Audio Visual Services was the DJ, playing all the favorite Halloween tunes. 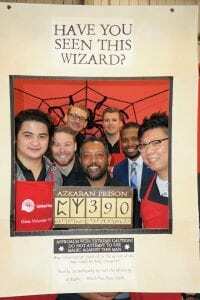 The Civil Engineering students also held another pumpkin carving contest through the BCIT Chapter of the Canadian Society for Civil Engineering (CSCE) and supplied the carved pumpkins for the table centrepieces. And last but not least, thanks to all of the volunteer pancake flippers, servers, set up and take down crew.